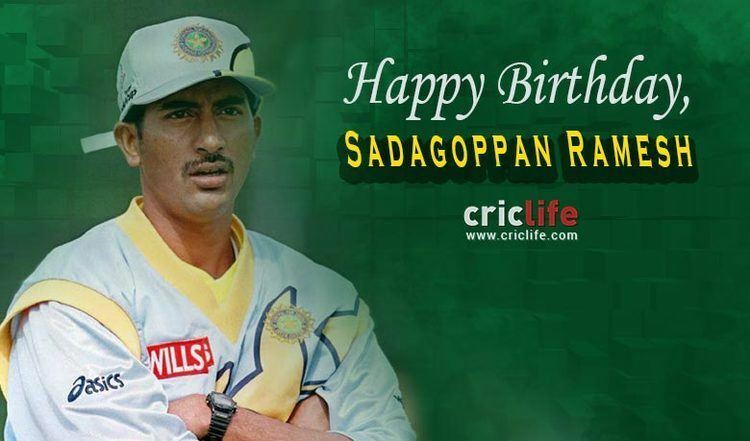 Sadagoppan Ramesh pronunciation (born 16 October 1975) is an Indian film actor and former cricketer. He is a left-handed batsman and a right-arm offbreak bowler. Ramesh is the first Indian cricketer to take a wicket off his first ball in ODI cricket. Despite having a batting average of over 50 in his first six tests and proving that he could easily play against top bowlers, he did not convert his starts into big scores. He was discarded from the team after India's tour of Sri Lanka when Ramesh passed 30 runs in 5 out of the 6 innings but only one innings was converted to a 50. 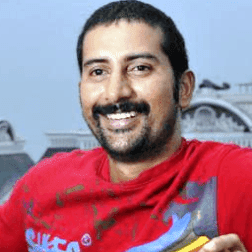 Though he originally played for Tamil Nadu, he played domestic cricket for Kerala during 2005–06, 2006–07 seasons and Assam in the 2007–08 season. Ramesh has acted in a Tamil movie, Santosh Subramaniam, released in April 2008. He also played a lead actor for the first time in the movie Potta Potti. Ramesh is married to Aparna in 2002. They have a daughter and son.